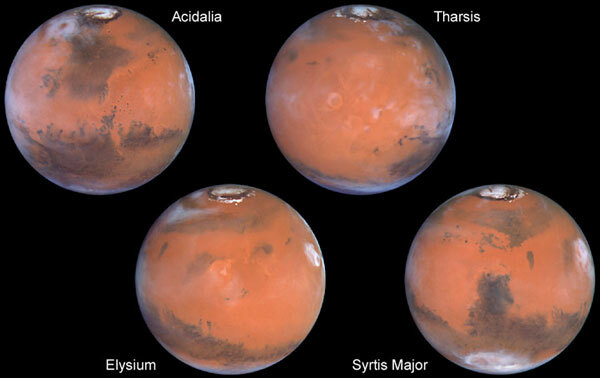 Opis: As Mars rotates, most of its surface becomes visible. 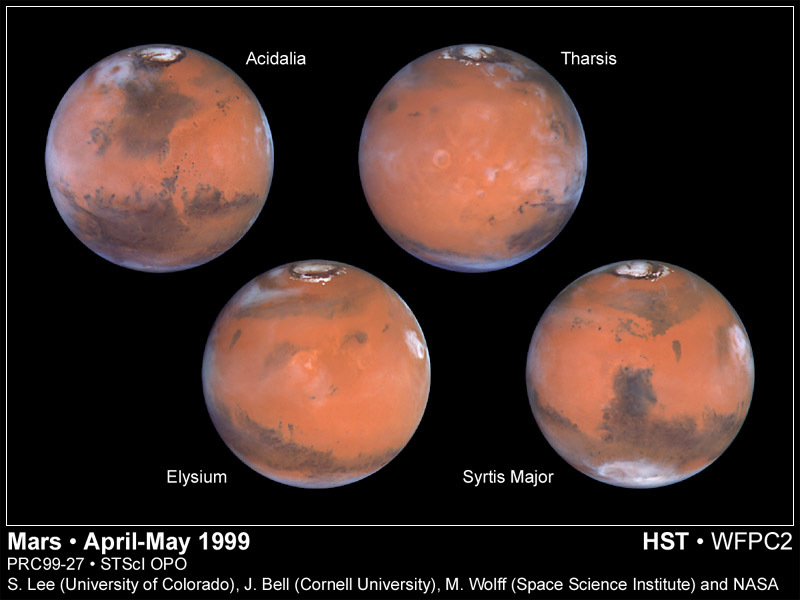 During Earth's recent pass between Mars and the Sun, the Hubble Space Telescope was able to capture the most detailed time-lapse pictures ever from the Earth. Dark and light sand and gravel create an unusual blotted appearance for the red planet. Winds cause sand-tinted features on the Martian surface to shift over time. Visible in the above pictures are the north polar cap, made of water ice and dry ice, clouds including an unusual cyclone, and huge volcanoes leftover from ancient times. The Mars Global Surveyor satellite orbiting Mars continues to scan the surface for good places to land future robot explorers.